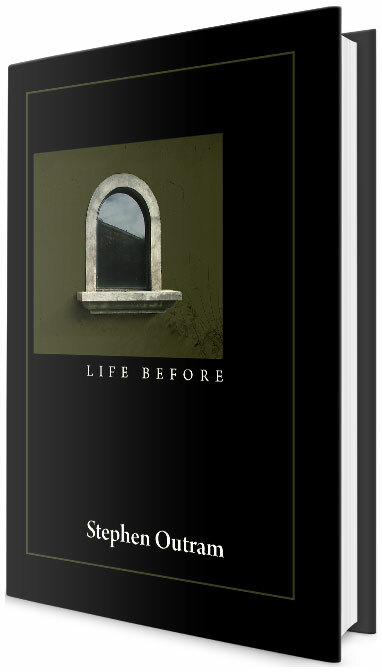 Life Before is a collection of some 26 poems, musing and essays; written over a period of about ten years and until now, unknown. Author Stephen Outram recalls that many of his writings lived in dark cupboards on scraps of paper until he became aware that they would actually like to be read! He asks his readers to consider how many poems and writings there are in the world, hidden away, that would also like to be set free. With titles like Fisher Folk, White They Crack, An Essay on Sunlight, September 11 and Feather Pillows; Life before invites readers to an eclectic collection of writing bound to amuse, intrigue or delight. It’s not so strange to consider that words have a life of their own and desire to be read. So here they are, a vibrant community of individual lives contributing their energy and presence to the creation of this book and asking, “Will you read us?” Well, will you?